I've been very busy these last few days updating one of our established websites Horse Trainer Directory which details 100s UK Horse Trainer websites, blogs & social media. It is top ranked on Google search engine for many keys words. That work hasn't helped me find time to write a post here for a couple of days although there hasn't been anything too inspiring. We did give a tip on www.5-4fav.com It looked to have a winning chance but lost out by fractions to finish a creditable third. It was advised at 9/2 each way. It returned 3-1 SP. Three maidens for Wednesday. Once again, I can't see anything which jumps off the page. I will take a quick look now to give a few basic pointers but unless something astounding happens there won't be a proper bet. 5:10 Kempton - A few of the Marco Botti debutantes have been going well. Falbon may have each-way claims if priced 10/1 & less SP. Saeed bin Suroor has livened up this latter part of the season and he holds an exceptional strike rate on the all-weather courses. Leshlaa will take some beating. Wefait hasn't been seen for a very long time since making his debut in June. Hannon's fancied debutantes often go well second start and another to merit respect. Leshlaa looks the best but the others are of interest, especially Falbon if in his betting guide. 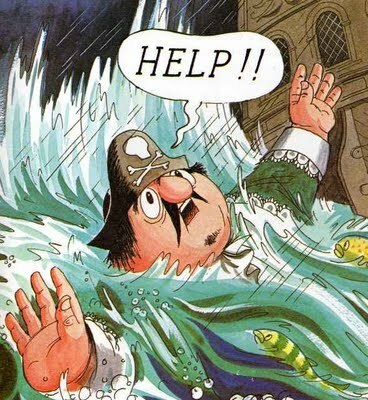 5:40 Kempton - I used to love Captain Pugwash as a child!!!! Henry Spiller has a debutante with the same name just to stop readers thinking I had regressed. I doubt this son of Sir Prancealot will be backed by the crew of the Black Pig. Back to the main contenders. Chessman is short priced for John Gosden. I consider 5-2 and less SP a significant price guide for his stable's debutantes. Esprit De Corps is another likely to go well. Definitely worthy of respect and holds fair each-way claims. James Fanshawe can ready a debutante although most are much better on their second start. However, Master Archer may hold some hope. Ideally, this grey colt would need to be priced 10/1 & less although the stable do have the odds freaky big priced winner. Simon Crisford has been a revelation since he started training and his first time out strike rate is very good. Hadeeqa is a homebred but one horse I would take seriously. 6:10 Kempton - Qatar Man is well regarded and done little wrong in two narrow defeat so far. The horse to beat. Roger Varian's Shenanigans has a wide draw which isn't always ideal on a turning course of this nature, even over a distance of a mile. This daughter of Arcano wasn't fancied on debut but ran on well to finish fourth and could well make a viable each-way bet, especially if backers get stuck into the jolly. Boise D'ebene was price 66/1 on her racecourse bow for Roger Charlton. That was a huge price for this handler and must have been in need of the run. She went well in seventh beaten less than four lengths.